If you're like us, actually putting together all that Ikea furniture you've gleefully picked out is a bit of a downer, to say the least. So wouldn't it be nice if ... a robot could just take care of the task for you? Yup. And the good news is this may become reality because a robot has officially succeeded in putting together an Ikea Stefan chair, and in approximately 20 minutes only, at that. In an article in the peer-reviewed journal Science, researchers have shared that they created a robot using only off-the-shelf hardware (industrial robot arms, parallel grippers, force sensors, and a 3D camera). This robot was then able to put together a Stefan chair in a single take. 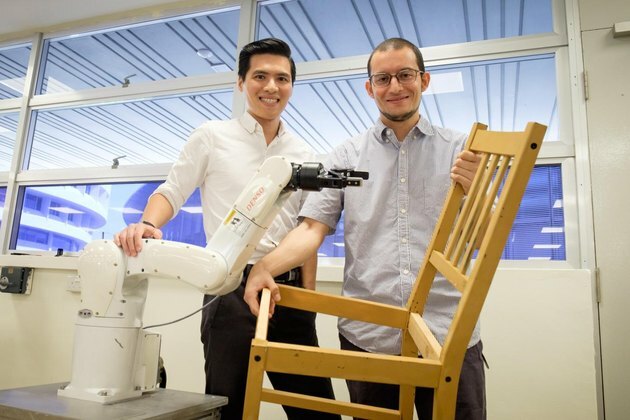 The researchers wanted to see if they could get a robot to build a Stefan chair because "demonstrations of autonomous manipulation have been so far restricted to elementary tasks," according to the article, and putting together a chair is not exactly elementary (as anyone who has struggled with putting together Ikea furniture knows). The exciting news is, they were successful. 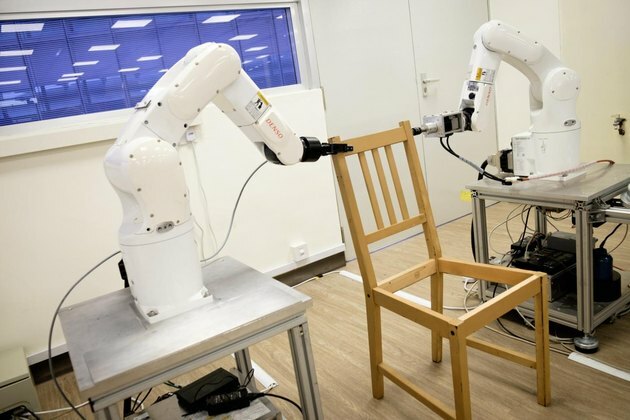 So, why aren't all Ikea pieces being assembled by robots already, considering the robot in this experiment was made completely using already existing technology? Because a human was still involved. The robot's sequence of the steps to build the chair was hard-coded. The hope is that ultimately, in the future, a robot will simply be able to look at an image of the Stefan chair and put it together, no human involved. If that's the future, then make it come faster, we say.